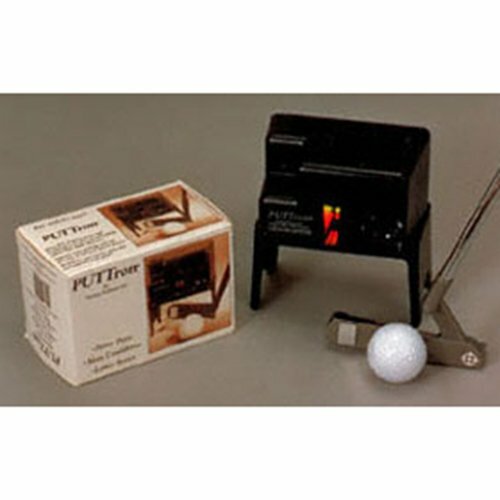 Golf PUTTron The PUTTron is the finest putting face indicator on the market. PUTTron's infrared alignment system will let you know immediately when your putter is properly aligned to the target by emitting a steady "beep" or a green indicator light. Just attach the small mirror to the heel or toe of your own putter, align it properly with PUTTron, and you're on your way to sinking more putts. "Research shows that 97% of golfers are not aimed close to where they think they are. PUTTron gives you the training and confidence to use any putter and use it well." Bob Murphy If you have any questions about this product or would like to order by phone, please call us Toll Free at 888-733-8383. We look forward to hearing from you! If you have any questions about this product by Puttron, contact us by completing and submitting the form below. If you are looking for a specif part number, please include it with your message.